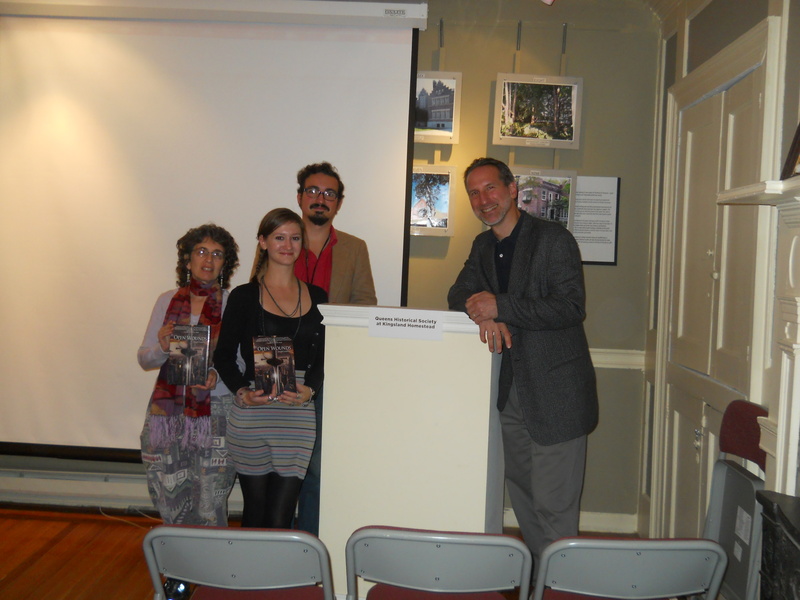 Reading at The Queens Historical Society on Thursday evening. We were supposed to start at 6:30 and it was 7pm and no one was there. Well… there were three people there but two worked there and one was a boyfriend of one of the women who worked there. The young man and I were talking about fencing so intently neither one of us had noticed that it was after 7pm and no one had shown up for the reading. Don’t get me started talking about fencing. The young man nodded, looking down. A woman appeared at the front door. All three of my audience members smiled at me. We had a fourth and someone not related in any way to the three who were already present. This entry was posted on October 8, 2011 by Joe Lunievicz. It was filed under Blog, Events, improv, Public Speaking, Queens Historical Society, Reading .